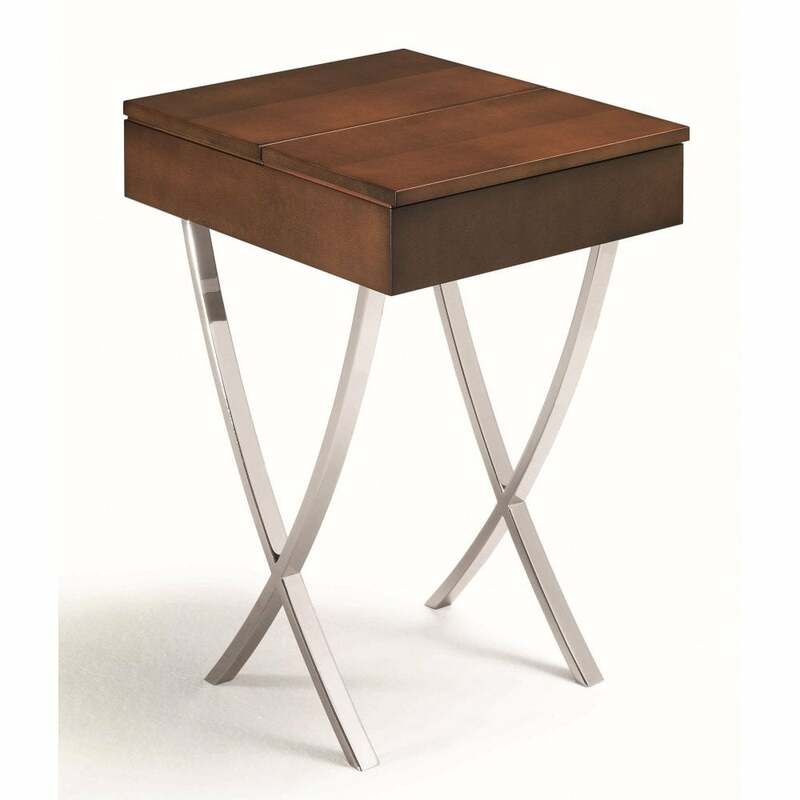 The Jaya Cruzita Side Table from the “Carré collection” showcases a simple aesthetic with hand-crafted details. Choose from Maple stained Walnut/Ebony or Figured Sycamore stained dark grey in a matt finish. The little table opens up to reveal a compartment with LED strip lights and a socket inside. Hollowed legs finished in polished chrome are used to house wires for versatile usage. Elise Som's design ethic proves that the most simple pieces can be made extroadinary with quality craftsmanship and considered detailing. Add an element of luxury to a reading corner, store your favourite books and add a statement table lamp for cosy ambience.